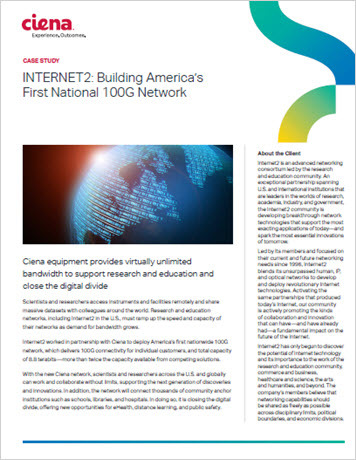 Internet2 worked in partnership with Ciena to deploy America’s first nationwide 100G network, which delivers 100G connectivity for individual customers, and total capacity of 8.8 terabits—more than twice the capacity available from competing solutions. ¿Desea ancho de banda? Investigue nuevas maneras de ampliar la capacidad.